Made using 160 dendrobium orchids strung through the side to make a thick, round lei. 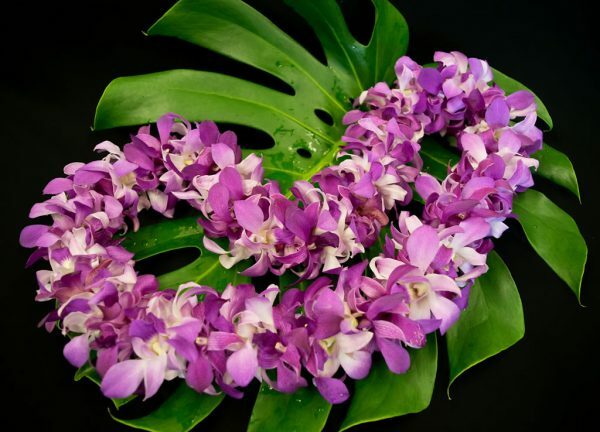 The double dendrobium orchid lei is thicker and fuller than the single orchid lei. 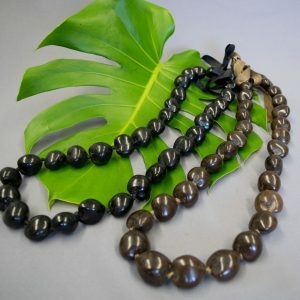 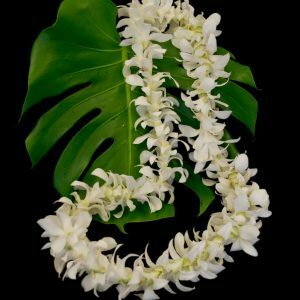 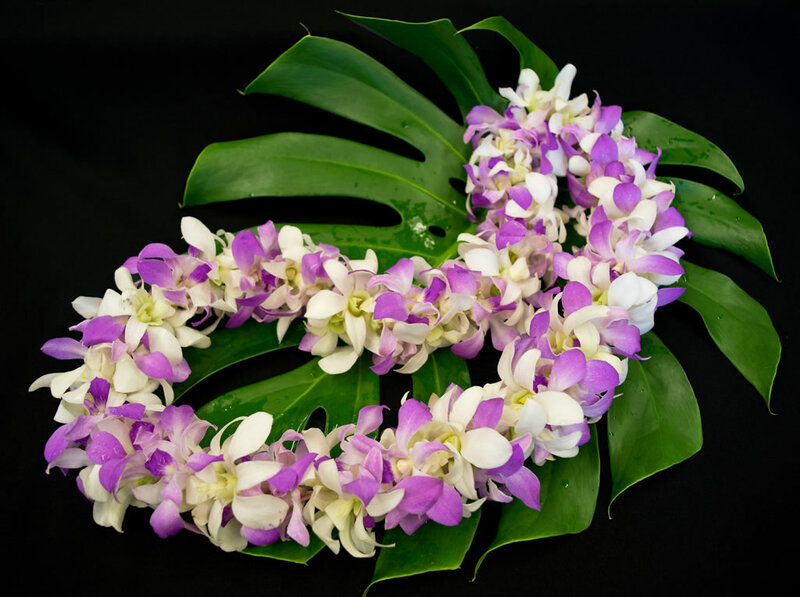 Although it can be combined with other neck leis, it's better to use a leaf lei than another orchid lei for comfort in wearing and a balanced look. 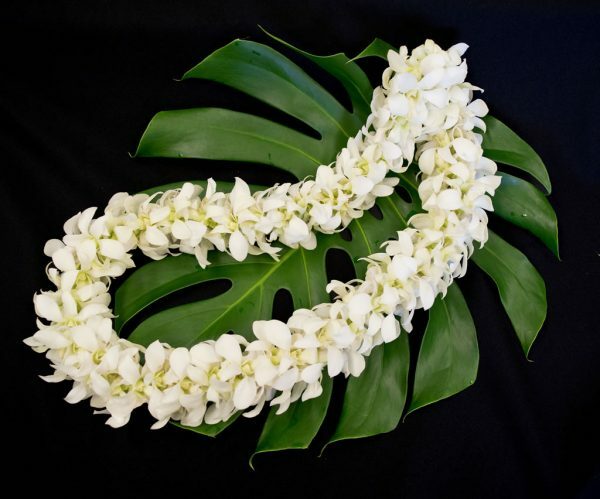 Brides often wear the double white with a white wedding haku lei. 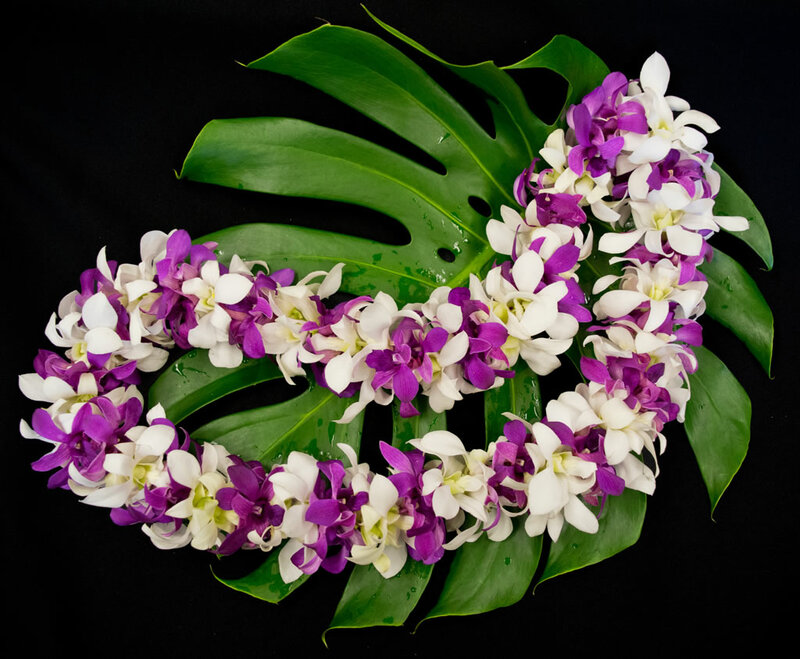 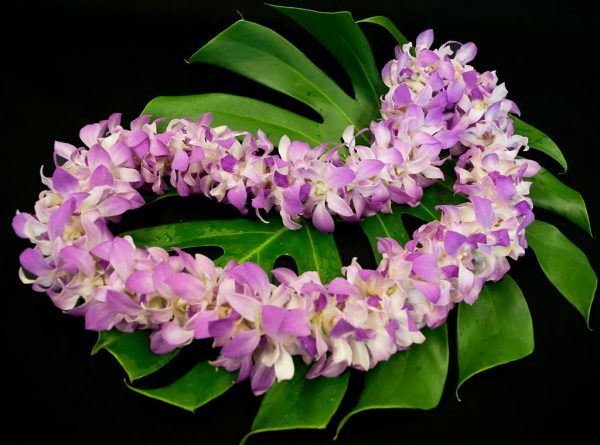 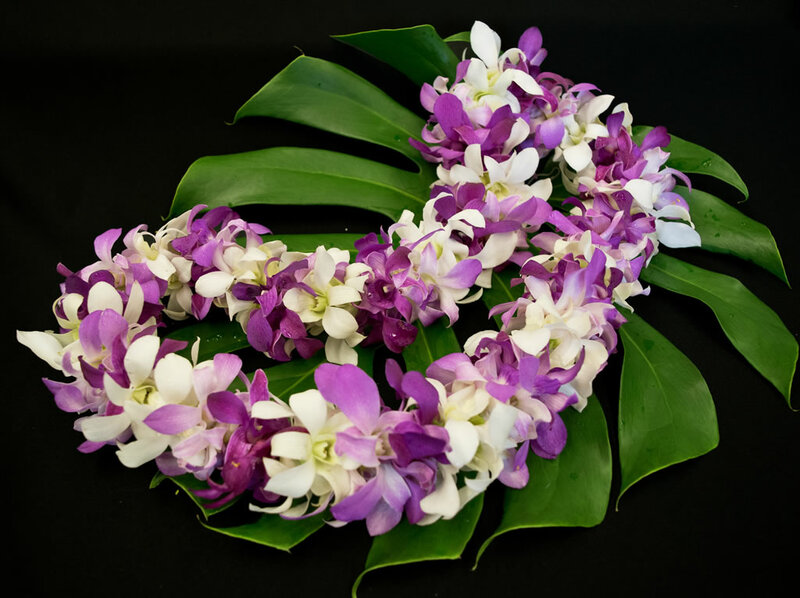 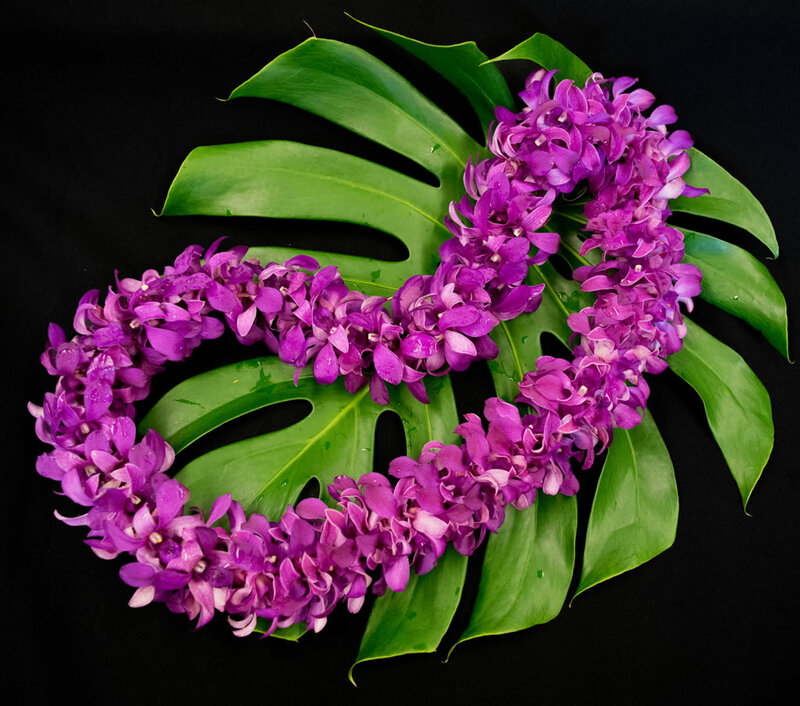 The groom may wear a double white or purple along with a colorful haku lei. 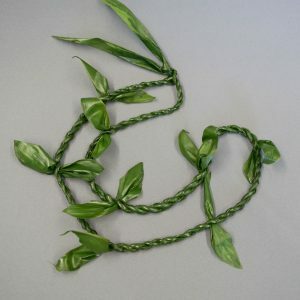 Available in a variety of colors, ship great ,and have excellent keeping qualities. A fancier lei. 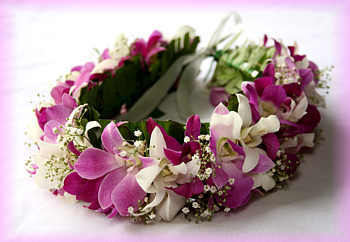 White is often used for brides.